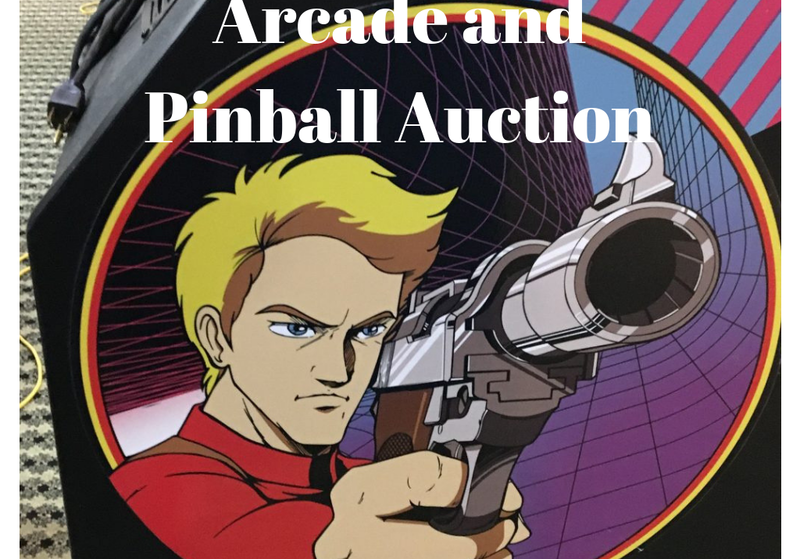 Last month I had a chance to go to an arcade and pinball auction. There were numerous arcades for sale and only a handful of pinball machines. It was a fun day and enjoyed visiting with people, playing games, and bidding on items. Unfortunately, the two items that I was bidding on went too high for my taste. I woke up nice an early to travel to Des Moines, which is about an 3 hour drive for me. The auction had a preview from 8:00-10:00 where you could play and inspect any of the machines and equipment. There were some really nice titles and games at this auction and was pleased to have a chance to play them. At 10:00, the auction started with some of the smaller items on the stages including monitors, parts, and Mega Touch Touchscreens. They auctioneer’s then went down a row of arcades, pinballs, and back to the arcades. My guess is they try to sell the higher ticket items first when most people are there. As the day went on, less and less people stayed. At the end of the auction they went through some of the project row and damaged games along with some video pokers. Some tips for people that haven’t been to an arcade/pinball auction would be bring a flashlight, quarters (in case game is not on free play), and listen to conversations. I didn’t need any extension cords or tools when I was there. Every game was up and running and a flashlight was nice to have on hand. Every game that I played was on free play or the coin door was open, and therefore, could coin-up any game. I heard a couple of conversions where the person just won the bid and didn’t want the monitor or other parts of a machine. Have any open ear, and I would imagine you can get items very cheaply and “save” them from being destroyed. Overall, I enjoyed the day, and hope to go back again sometime. I did a walk through at the auction and posted the video to my Facebook group. If you haven’t liked my Facebook page, please check it out. I’ll post some shorter items and photos there.